Steven J. Hanley, Ph.D., a licensed clinical psychologist, works with clients to identify the origins of emotional distress, and helps couples develop cooperative coping strategies to increase satisfaction with each other. We asked Dr. Hanley to discuss how to establish boundaries in relationships. Smiling couple having drinks together at bar. eHow: Can you tell us a bit about relationship boundaries? Dr. Hanley: From the moment you leave your mother’s womb you have the task of figuring out how you fit into the world as your own, unique, separate person. It is the start of a lifelong exploration of healthy interpersonal boundaries. This is especially relevant in the context of dating relationships and marriages. Over time, most people figure out how to set these boundaries in healthy and developmentally appropriate ways. Others struggle with this throughout their lives, sometimes to the point of significant emotional suffering. The good news is that with some focus and attention (and maybe some professional help) most people can improve the health of their boundaries and the quality of their relationships. eHow: Why are boundaries important in relationships? Dr. Hanley: Healthy boundaries promote a sense of individuality and self-esteem. They help convey a sense of care and respect for your partner who has his or her own unique set of thoughts, experiences, and feelings. One of the most hurtful types of relationships to be in is one in which your thoughts and feelings are rejected or ignored. Healthy boundaries help protect against this. We all bring our emotional baggage to the table when we get involved in a relationship. It is often a challenge to differentiate your “stuff” from your partner’s “stuff.” Having solid boundaries helps you do that in a more effective way. You can then take responsibility for your own issues and not overly burden (or be overly burdened by) your partner. Having healthy boundaries will make you a more empathic and supportive partner. We often rely on our partners for emotional support when we are feeling down or stressed. With unhealthy boundaries your distress may overwhelm your partner and vice versa. When you have a solid sense of who you are it allows you to be more helpful to your spouse. Healthy boundaries will help you stay emotionally well, and help protect against depression and anxiety. eHow: What is the best way to set boundaries? Dr. Hanley: Communication is key! Be clear about your expectations, what you are willing to do, and what you aren’t. If a relationship can’t tolerate a setting of boundaries, then it is probably not one that you want to be involved in. Don’t be afraid to set limits. This might be more important in the earlier stages of a relationship, but it applies to longstanding ones as well. Your partner cannot read your mind (even if he or she is pretty good at gauging your mood), so it is important to talk openly and communicate your limits. Talk face-to-face when trying to solve boundary issues or conflicts. Modern technologies like texting or Facebook may be convenient, but relying on them too heavily often causes problems. In some ways being “too” available via text or email has eroded a more natural sense of boundaries in couples. There is a lot that is lost or misconstrued in a text message or email. A telephone call can be OK, but ultimately I think face to face is best. 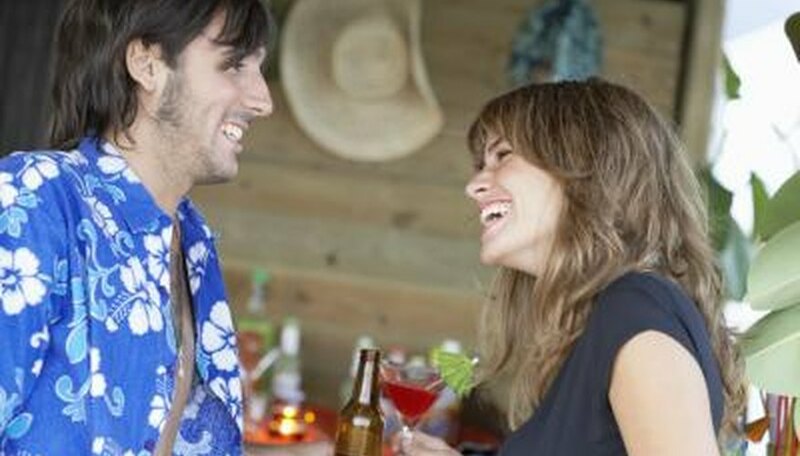 Talking about these things with your dating partner or spouse can be difficult, but ultimately these discussions will give you the best chance of improving the relationship. There is no magic rule as to when or how these discussions should happen. I encourage couples, however, to have these discussions proactively, before issues come up. eHow: How can you deal with boundary violations? Dr. Hanley: A lot depends on the type of relationship and kind of violation. Is this someone you just met at a party or is it your spouse of 50 years? First and foremost: Protect yourself. You are entitled to be safe. If you are being harassed or abused, it is important to take action. This might mean blocking someone from communication. In the most serious of cases, it might mean taking legal action such as getting a personal protection order. Luckily, most boundary violations are not as severe as that. For most violations, a direct and frank discussion with your partner might suffice. A qualified marriage counselor or therapist can help you if necessary. eHow: Should boundaries ever be flexible? Dr. Hanley: Like most things in life there is some grey area. Relationships are not static. They are continually evolving and, as such, sometimes boundaries grow, contract, or sever. Being too rigid in some of your boundaries might be problematic. It is a bad sign when you aren’t willing to compromise or grow in a relationship. Of course, boundary issues that involve personal safety should never be compromised. eHow: Do you have any other tips or advice? Dr. Hanley: If you find yourself involved in many relationships with fuzzy or loose boundaries, then some focused self-exploration might be in order. This can be done on your own, but it is often most helpful to talk to a psychologist or other mental health professional. It is often the case that in psychotherapy, certain relationship patterns might emerge. Understanding these patterns, and possibly their origins, gives you a chance to do things differently. Ultimately this will help you build and maintain the kind of relationships that you want to have and lead to a more fulfilling interpersonal life. About Steven J. Hanley, Ph.D.
Cuncic, Arlin. "How to Set Boundaries in Relationships." Dating Tips - Match.com, https://datingtips.match.com/set-boundaries-relationships-2081013.html. Accessed 21 April 2019.